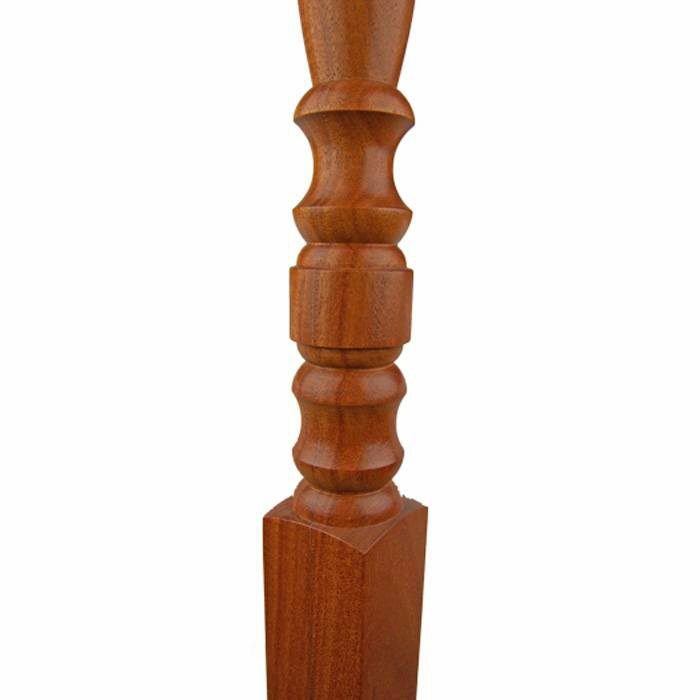 The 5005 wood stair baluster is best suited to stairways with strong lines and an emphasis on vertical symmetry. This product has block formations, along with double decorative designs. 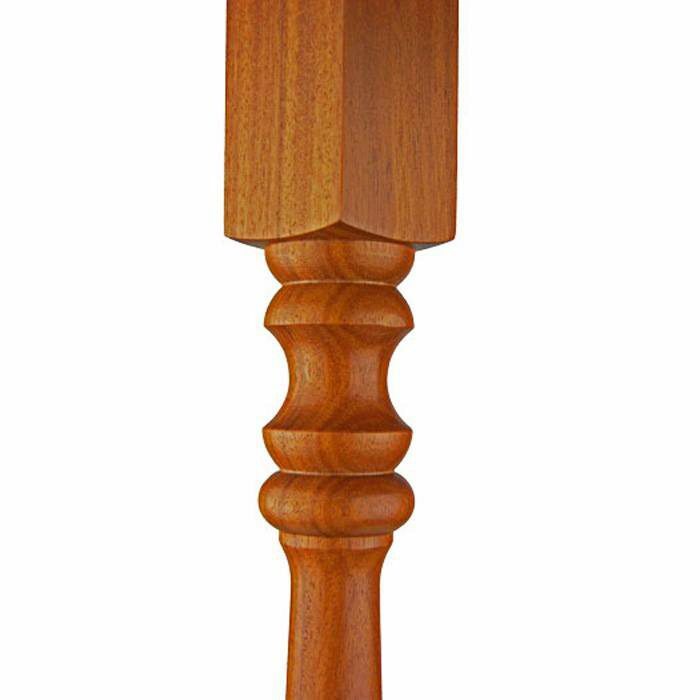 The baluster can be crafted from exotic woods like Brazilian Cherry or Mahogany to create a magnificent stairway. It can be complemented with the 5300 pin top baluster. what are the dimensions of the top and bottom block? What is the length of the turning. 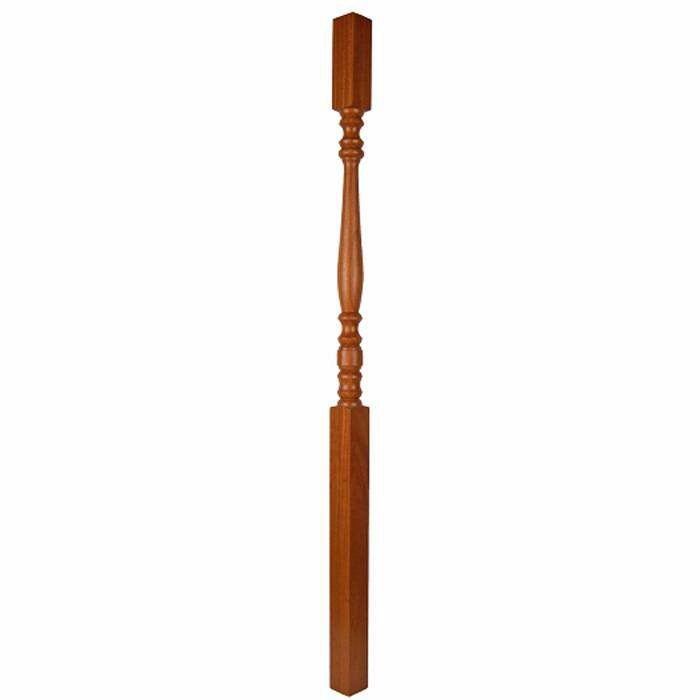 The length of the turned portion of a 5005 wood baluster depends on the style you choose & the overall length of the baluster. Our most common, the 36″ tall contemporary style has a turned section measuring 20-1/4″. If you have additional questions, please give us a call at 1 (866) 226-6536. I need to build 42-inch tall guard rail. 39 inch baluster works? 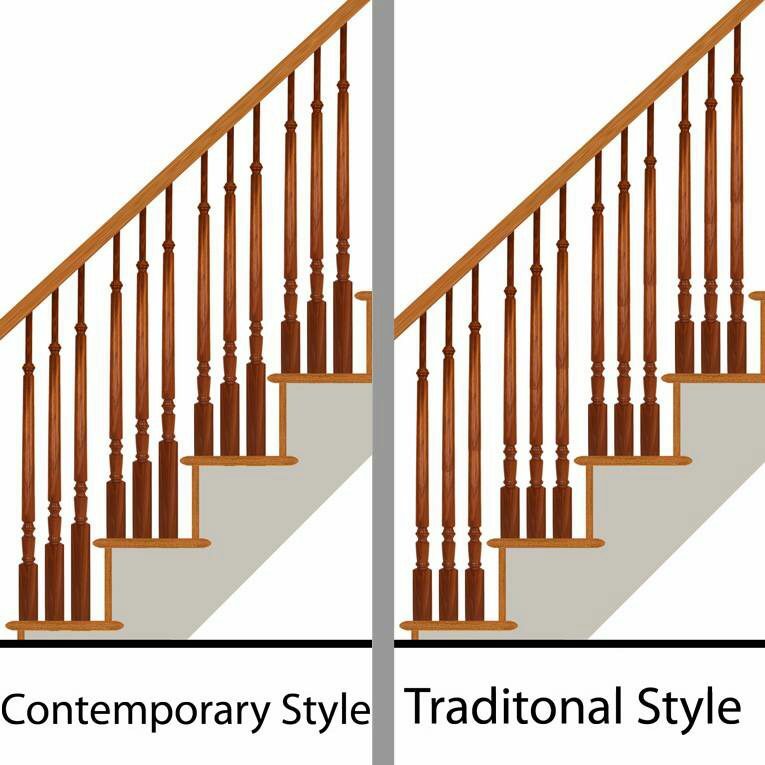 Do I need to order a contemporary style or traditional style? Thank you for the question, Andy. We would recommend that you use the 42″ tall wood balusters in order to meet code, and then you can trim them down if you prefer. The wood balusters will go into the bottom of your handrail, so the 39″ might be too short. Regarding contemporary versus traditional, this is a personal preference. The differences are outlined below. There is also a picture on the product page showing the difference between the two styles. This picture is located on the left side of the product image.